0:30 Introduction and Appreciation for Dev and Community joining in on the conversation. 02:34 Bitsharesplayfoundation is for playDAC. 02:42 Playshare.io is similar to Peertracks for game developers and marketplace where users can buy in-game assets. It will be like bitpay or peertracks for bitshares PLAY. 04:19 Announcement of Allocation: 35% BTS, 10%AGS, 10%PTS, 20% Presale, 15% Long Term Development and 10% Reserve fund (unlocked monthly after DAC launch). Snapshot taken on 5 NOV.
05:45 Hackfisher discusses interest in honoring BTS held in collateral for longs and states the team believes it is a good idea. 07:30 Fuzz asks if Hackfisher will honor bitUSD and Hackfisher says yes—bitshares PLAY will honor bitUSD holders, divided between shorts and longs. Fuzz explains the basics of the market peg and the problem for those who do not understand collateralization with BTS. Hack explains in long form why the long order gets part of the collateralization as well as the short and why there is some difference of opinion on this subject from a technical perspective. He states that this is also the case with all other market assets. The method they are using makes it unnecessary for market makers to unwind their positions to receive snapshots. 16:45 Questions about potentially sharedropping on specific assets like bitGLD. What if altcoins were made into bitAssets? Shardropping on bitQuark? bitPPC? bitDoge? Hack explains that PTS and AGS could be issued as bitAssets on BTS and be used as sharedrop tokens from there. 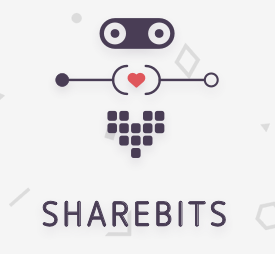 18:30 Delulo asks question regarding fairness of distribution to AGS holders before the February snapshot as opposed to those who donated after the snapshot because those who donated before the snapshot received BTS, which will also be a sharedrop target, whereas those who donated after receive a substantially lower sharedrop percentage. Hack explains difficulty in changing percentages after the fact due to difficulty for some holders to receive information. 21:30 Delulo proposes that future DAC devs make a proposal beforehand to make sure the community vets the percentages before official announcements occur. 26:00 Hackfisher and Delulo Discuss the use of Polls to find consensus on these issues in the future. Delulo explains he will post a poll along with a thread to the bitsharestalk.org forums to talk about this topic in more depth. Ghentso joins into the discussion. 32:45 Hackfisher announces that they have changed tactics and will no longer be targeting gambling-styled games. They changed the internal market model from bi-directional to a one-way model, where users can only buy chips or gamecoins with PLS, but cannot sell them in reverse. However, people will be able to exchange them on the internal exchange between each other. So if someone wants to buy those another’s chips/gamecoins, the holder can sell them directly to other players as opposed to the house or game providers. He hopes this will further open up the marketplace to a larger number of games of varying types. 34:10 MCAT asks what kinds of games PLAY is trying to include if not gambling games. Hackfisher explains some of the first on-chain games will be board games like chess and perhaps some simple betting games that are similar to smart contracts where users can bet on certain events (perhaps betting on the outcome of game matches?). This relies on feeds provided by the delegates. Traditional games will be sold using the platform, and they want to provide a marketplace for them and for their in-game assets. Fuzz asks about modded content being easily available and put up for sale by mod makers for extra game content—Hackfisher clarifies that this will be possible. 38:30 Explanation of 1 possible Gamecoin value increase strategy: like BitShares Music. 40:01 MichaelCat asks will PLAY be the marketplace for trading items between games? Hackfisher says yes. This is a possibility, if the developers want to make this possible. So it will be possible, if the items are valued, for players to make money by playing these games. Fuzz talks about making bots for in games. Hackfisher talks about how bots will make the items’ value drastically drop so game makers will have incentives to protect against overuse of bots. 43:00 Fuzz talks about Gold Farmers and the huge market for work for these individuals in China. Hack says he is more interested in the peer-to-peer aspect of trading as opposed to businesses that pay these people small wages, provide room and board for them to simply play games. 43:45 Delulo is interested in whether games will require their own token or the PLAYshares token to play them. Hackfisher explains that the Game’s token is used to play the game and that using the token destroys it, reducing the supply. Delulo asks if bitUSD will be used—Hack responds that it will only likely be used to help with volatility, but that they need to wait for bitUSD to become more mature to be integrated. 46:25 Delulo asks where the value will come from for these tokens. Hackfisher answers that the value will come from the network and the economic activity on the network. The more activity, the more fees. This means the more tokens are destroyed. 51:15 Fuzz uses the Arcade analogy again to express the similarities. Hack discusses the differences between games that are “on-chain” and those that are “off-chain” but use the bitshares PLAY Blockchain to provide a transparent, provably fair marketplace. He explains that onchain games will be more like BTS bitAssets whereas Off-Chain will be more similar to user-issued assets. He talks about potential fraud from User-Issued (Off-Chain) game assets and the potential for Delegates to potentially help prevent this fraud. 55:20 When will the technical whitepaper and API be available for Game Developers? Hack says there needs to be a 2nd version of the whitepaper because some of the original designs have been altered and the API will be available upon Launch of PLAY. The API will grow as development expands. The whitepaper should be finished in 1-2 months and the PLAY should be launched approximately 3-4 months after that. 57:10 Has BitShares PLAY had contact with game developers yet and if not, do they have any plans to do so? We have contact with a few experienced developers in China in the past couple months. They have given many requirements and enhancements to the network so they can be more interested in integrating and joining the network.